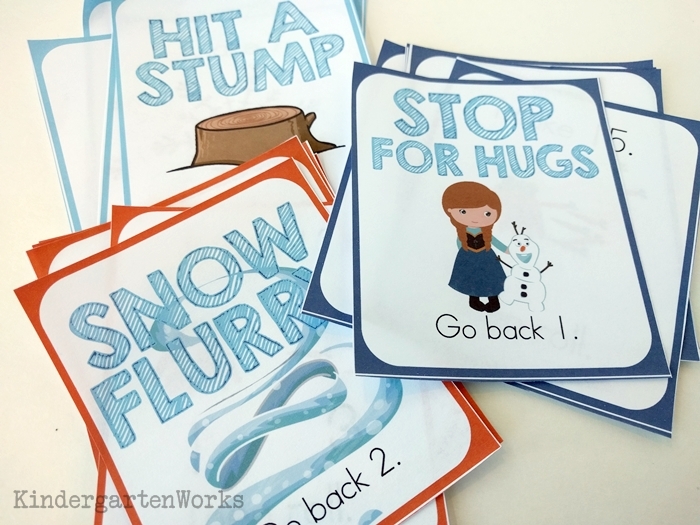 Decompose and compose teen numbers like champs in your classroom with this fun, frozen, wintery game. 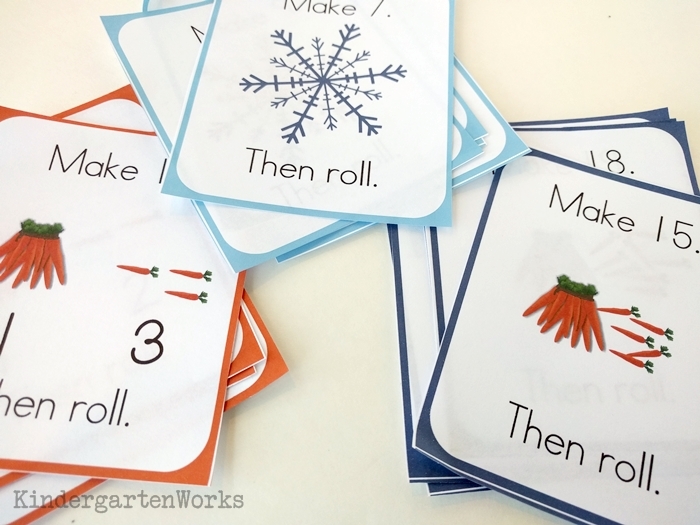 This printable game board and pieces gives kindergartners the repeated hands-on practice they need to master composing numbers 11-19. 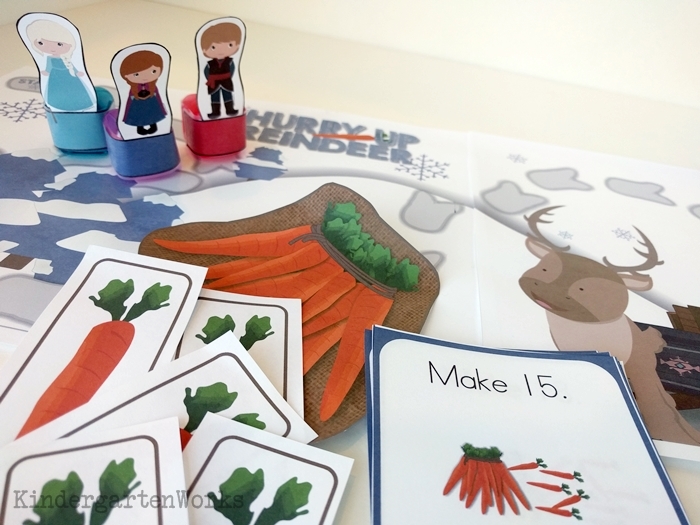 It’s called Hurry Up Reindeer and it’s a composing/decomposing game that builds numbers up to 20 using groups of tens and ones. It’s fun and easy to use! It’s amazing what building a solid foundation with numbers 11-19 can mean in kindergarten. Games like this are important to creating that foundation! This game is the same format as my Christmas composing teen numbers game. 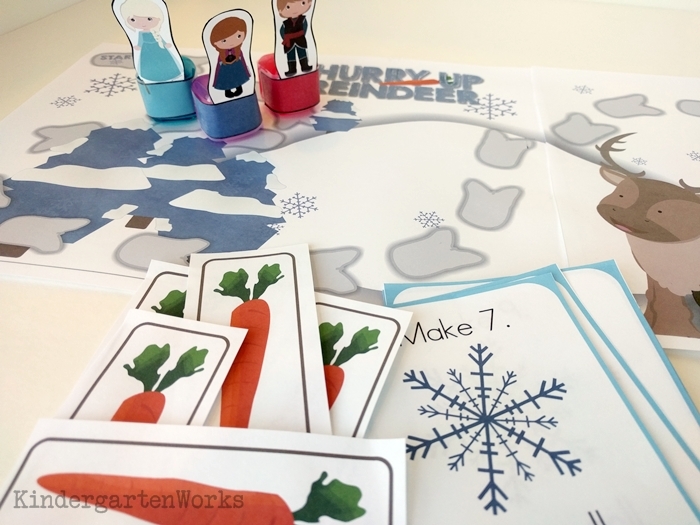 If my students didn’t already understand how to play, then I’d introduce it in the teacher zone in small groups so I could help work through misconceptions. Eventually it would released into the practice zone where students play it by themselves. It could also make a great game to play with a parent volunteer. 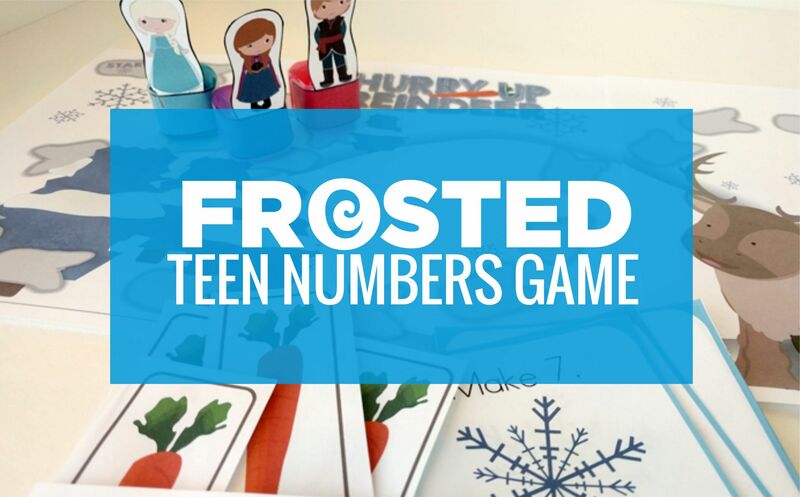 Here are some of the awesome features of this composing teen numbers game. 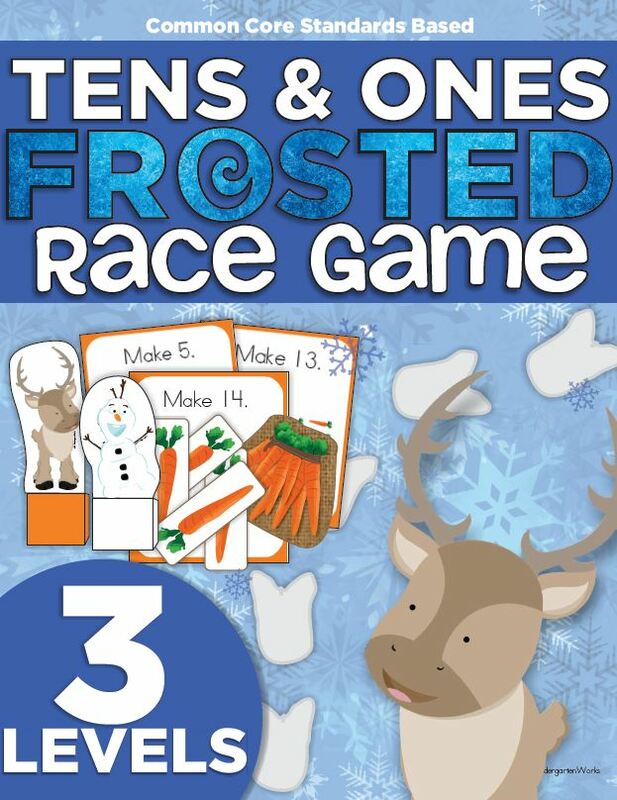 The Tens and Ones Frosted Frozen Race Game has a 2-page printable game board. 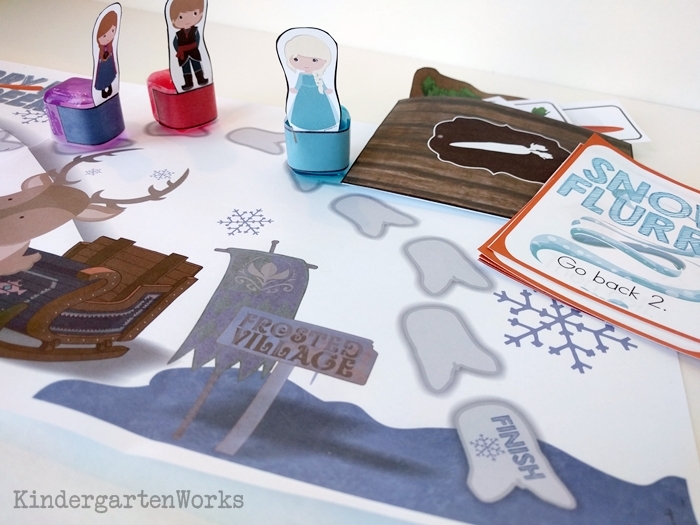 This is one of my favorite features – it gives lots of chances to practice as kinders move along the reindeer hoof prints towards the frosted village. There are playing cards that tell students to compose teen numbers like 6, 11 and 19. There are 3 sets of these playing cards – that way you can differentiate EASILY! Just building numbers with ten frames can get a little repetitive over the school year. 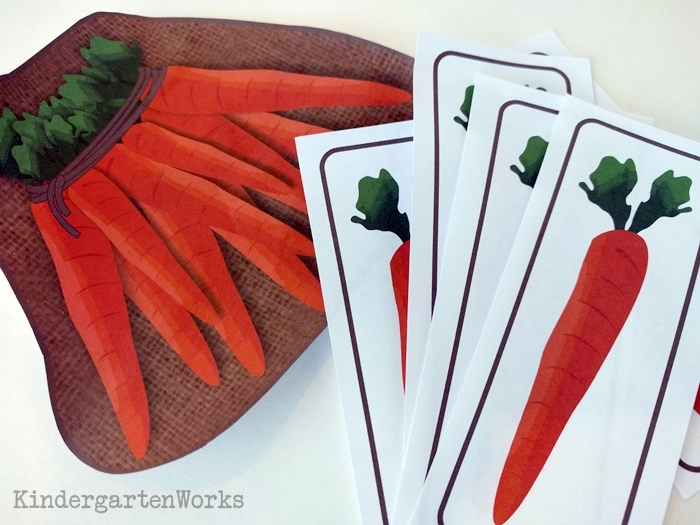 Why not use real-life examples to keep things interesting – like a bunch of carrots as your group of tens? Students learn to start counting at ten and then add additional (or count out additional) ones. It reinforces the strategy that starting with 10 and then counting (11, 12, 13…) is a more efficient way to work and partly why composing with tens and ones is helpful! 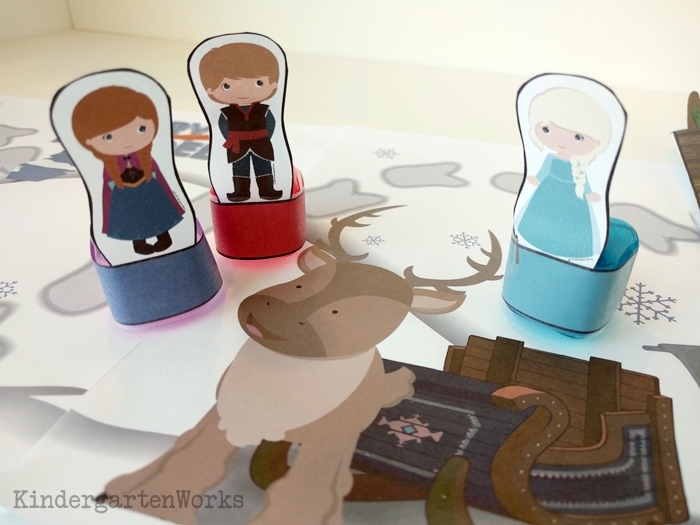 The paper tabs wrap around the base and are taped to hold the character in place and will be sturdy enough to last for more than a year if you’ve laminated them. I totally love storing games when not in use in large bags like in my math cupboards or guided reading filing cabinet. This game, it’s pieces and visual directions all fit nicely in a gallon ziploc bag. 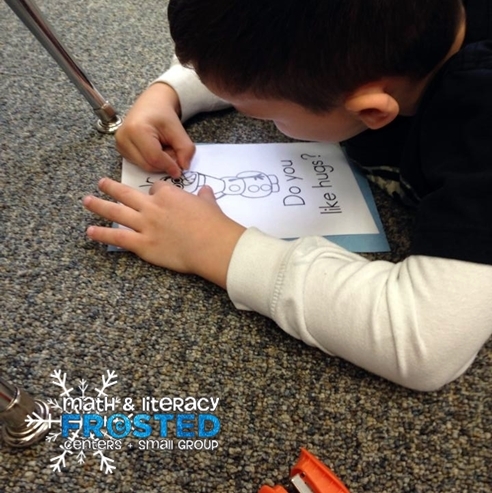 If your class can’t get enough – they’re sure to love an entire frosted frozen unit packed with standards-based learning that continues the frosted theme.